Still Not Sure What to do this Valentine’s Day? Be Adventurous! Celebrate Valentine&apos;s Day with an adventurous spirit! No matter your romantic status, these activities are fun for all to enjoy! 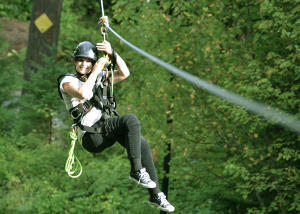 Canopy Tours Northwest is a premier zip line tour company that brings you through the woods at the historic Kristoferson Farm in Camano Island, WA only about a 90-minute drive from Seattle Southside. Canopy Tours is holding a Sweetheart Valentine’s Day deal throughout the month of February, which includes a two-hour long tour with four zip lines, for only $70 a person. San Juan Safaris is offering their first Wildlife Tour on Valentine’s Day this year. Take a scenic road trip to the San Juan Islands and have the opportunity to see whales around the islands, sea lions, and other wildlife. Every female guest will receive a beautiful, red rose as an added bonus! 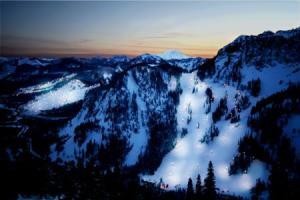 The Summit at Snoqualmie is offering a Ski & Dine Valentine’s Day event from 6:15 pm – 10:00 pm. Enjoy a unique adventurous evening with your sweetheart. The special event will be held at Silver Fir Lodge, and it’ll be perfect for anyone who finds being in mountains comfortable, fun, and romantic! There will be a delicious four-course dinner as well, only offered for 21+. Not only will you have the four-course dinner, but there will be Valentines Chocolates, wine pairings, and a coupon for the gift and gear shops available as well. Packages are available with or without lift tickets. Waterways Cruises is holding a Valentine’s Lunch or Dinner Cruise along Seattle, on this lovey-dovey holiday! Departure will be from the Waterways homeport, and you’ll be able to celebrate this special holiday on a romantic cruise with a beautiful view of the Seattle skyline. Lunch: Featuring a lunch buffet, with views of Lake Union and Lake Washington. Dinner: A four-course dinner will be included with your cruise, as well as a champagne toast.